My favorite DC Party PR Girl, Whitney Stringer, invited me to a hair affair honoring Miss Lynne Wooden a top stylist with close to two decades of experience styling hair in Washington, DC. Lynne celebrated the1 year anniversary of her salon, located in Logan Circle. Celebrity talking head (with an equally famous head of hair) Paul Wharton hosted the soiree and really made the party memorable by having us all "shake our hair back and forth" and wiggle to the Wobble. It's official, if you are invited to a Whitney Stringer PR event you must 1) RSVP Immediately! 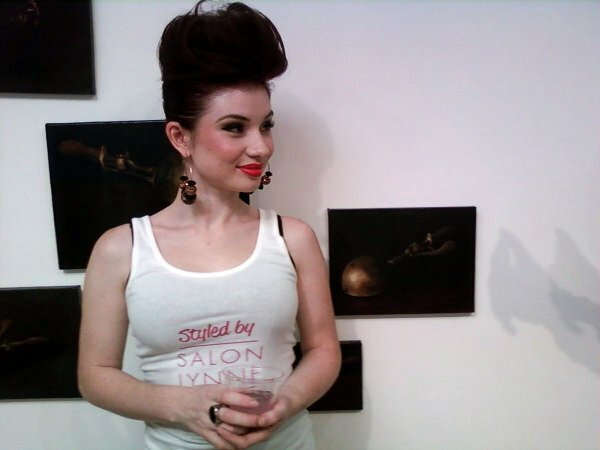 2) Book an appointment at Salon Lynne 3) Come dressed to impress...and to party! See more photos from the event when you click "READ MORE"